Top bond managers are predicting more fallout amid a market rout that forced at least three credit funds in the past week to wind down. “It could get pretty ugly this week,” Michael Contopoulos, high-yield strategist at Bank of America Corp., said in an interview with Bloomberg TV’s Stephanie Ruhle. “The most recent sell-off has not been fundamentally driven,” he said, citing constrained dealer balance sheets as a factor. Third Avenue rattled markets when it announced Dec. 9 that it’s liquidating a $788.5 million corporate debt mutual fund and delaying distribution of investor cash to avoid bigger losses. Chief Executive Officer David M. Barse is leaving, the New York- based money manager said today. The SPDR Barclays High Yield Bond ETF, a proxy for the high-yield market, fell 0.5 percent at 10:04 a.m. in New York, its third straight day of losses. 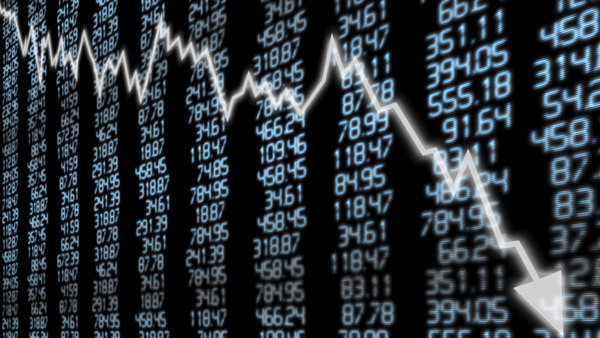 The exchange traded fund slumped 2 percent on Friday, its biggest one-day drop in four years. Many funds had bigger losses Friday, and shares of most high-yield ETFs were trading below the value of their assets. Icahn, a billionaire who has been betting against high- yield, has criticized high-yield ETFs for giving less sophisticated investors easy access to a market whose risks they may not fully understand. He said in a post on Twitter Friday that the selloff in the debt is only getting started. Mutual funds are required to let clients pull out on a daily basis, and ETFs even provide intraday liquidity. That makes them less suitable to invest in hard-to-sell assets. Hedge funds typically have more time to realize gains in such investments, but they can also take more risk and they often use leverage, or borrowed money, to amplify gains. If a trade goes wrong, that leverage will leave them with bigger losses. Lucidus decided to wind down the portfolio after receiving a redemption notice from a significant investor in October, according to a person familiar with the fund’s operations, who asked not to be identified speaking about internal deliberations. Lucidus’s two main investment vehicles had been on track for their second straight losing year, declining 1.9 percent and 4.1 percent through November this year, according to the person. Stone Lion, a New York-based firm with $1.3 billion under management, said Friday it’s suspending redemptions at a $400 million credit hedge fund after clients asked to pull too much money. “The real question is going to be how many hedge funds go bankrupt,” said Gundlach, whose firm oversees $80 billion. The Third Avenue Focused Credit Fund in many instances had purchased 10 percent or more of smaller bond offerings. Such large positions in infrequently-traded debt can make it difficult to exit. Third Avenue was the biggest holder of one set of bonds issued by bankrupt power producer Energy Future Holdings Corp., according to data through July 31. Ross, chairman of WL Ross Holding Corp. and a well-known investor in distressed businesses including steel, said Third Avenue and its founder Martin Whitman may have been the victims of a changing market and regulatory environment. While many funds may face temporary liquidity problems, the fundamentals in the high-yield market are still in good shape, according to Michael Buchanan, deputy CIO at the $446 billion Western Asset Management Co. The $347 million Western Asset Global High Yield Bond Fund, which Buchanan co-manages, is down about 5 percent this year. “The message from our standpoint is if you own it already, hang tight,” Buchanan said in a telephone interview. “If you don’t own it, this is a good time to think about adding some exposure, especially if you’re a value-oriented, long-term investor. I think there’s real opportunity in the market.” For Oaktree Capital Group LLC, the world’s biggest distressed-debt investor, the market is presenting the most investment opportunities since Lehman Brothers Holdings Inc. collapsed in 2008, according to co-Chairman Howard Marks. Others say its still too early to buy after the recent declines. Meridee Moore, who started Watershed Asset Management 13 years ago, is returning client money in her $1 billion hedge- fund firm, citing the difficulty of finding good investments in distressed companies. Gross, who led the world’s largest bond fund at Pacific Management Investment Co. before moving to Janus Capital Group Inc. last year, said investors should reduce risk following Third Avenue’s move. Investors who have lost patience may decide to pull their money before the end of 2015, causing trouble for more funds, according to Guggenheim’s Minerd. –With assistance from Christine Harper. — Check out 9 Lessons From Third Avenue Freeze on ThinkAdvisor.